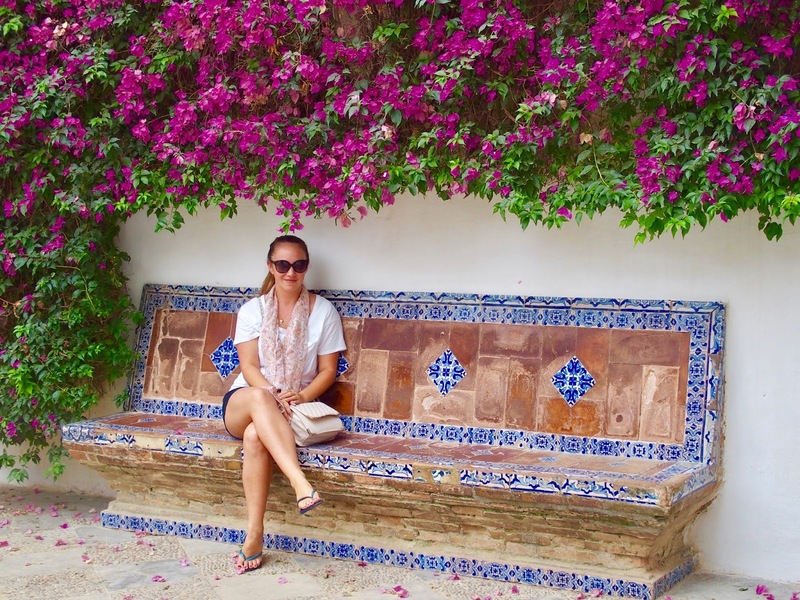 One thing that amazed us about Spain was the unique feel that the different areas had. 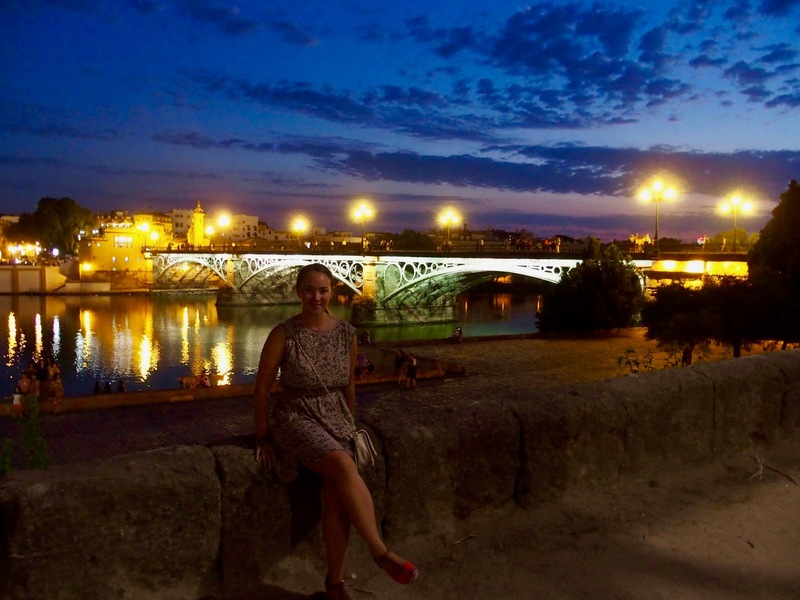 Seville definitely felt like the home to the Flamenco and tapas. There was such a rich culture, enhanced by staying in a local apartment for 5 nights. 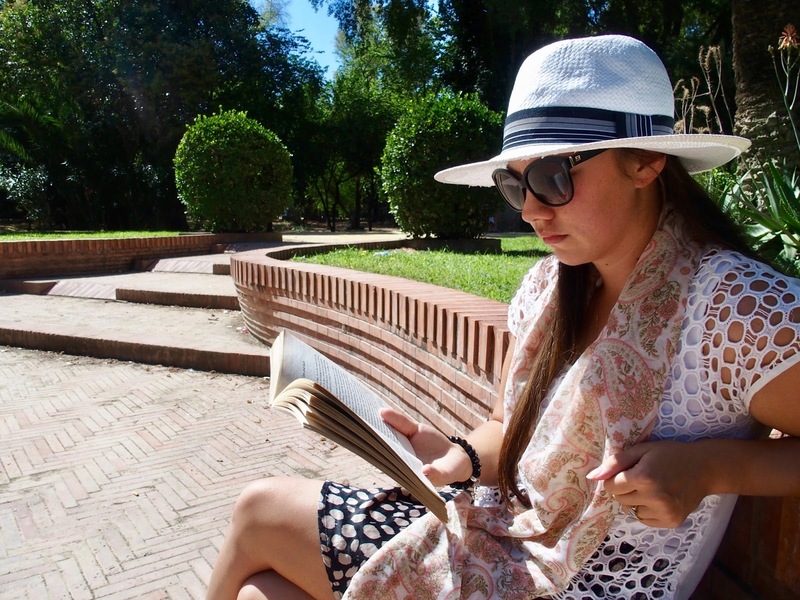 We really felt like one of the locals and loved the atmosphere. Tapas! The most delicious food we have ever tasted. We have never experienced so many flavors. We embraced the Spanish tradition and made it a daily task to find the best tapas on TripAdvisor and then take a well-earned siesta. 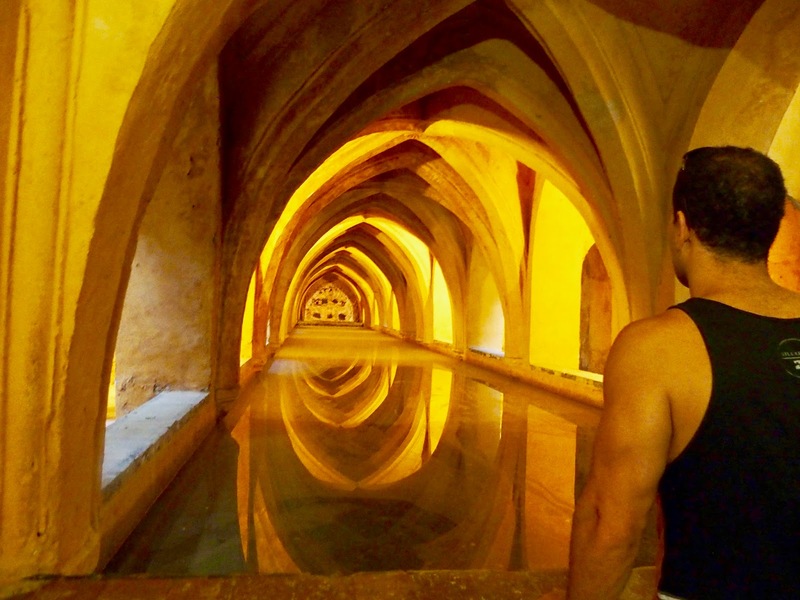 Real Alcazar-one of the main sites in Seville that is also a Game of Thrones set. The detail and palace grounds are stunning. Cathedral-another main attraction, the Cathedral is beautiful inside and out! There is a huge altar made of gold and the tomb of Christopher Colombus. 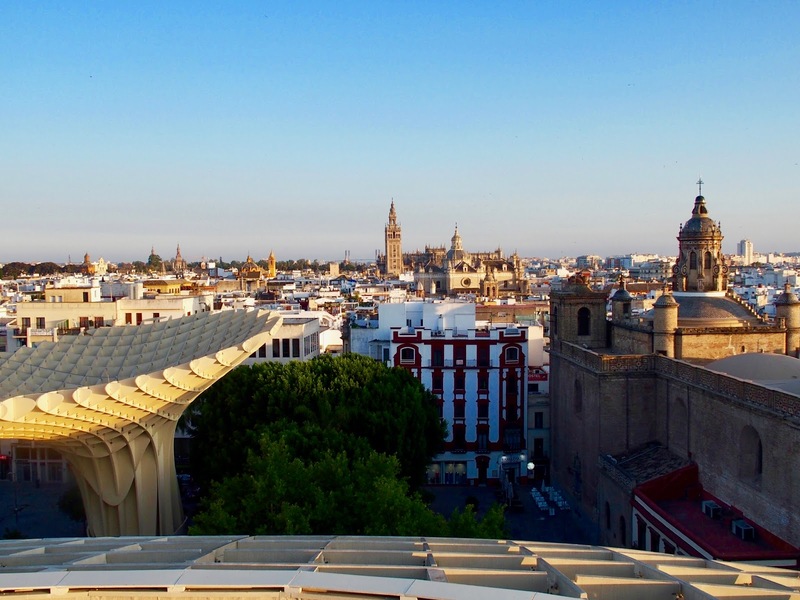 Enjoy the view over Seville from the tower. Plaza De Espana-yes another main attraction and for good reason! Take a close look at the murals as they tell a very interesting history of the different regions that make up modern-day Spain. 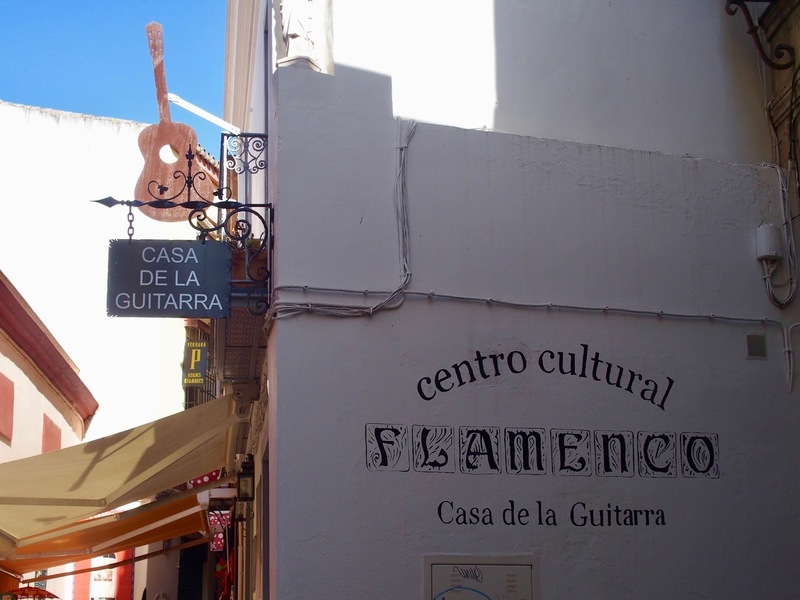 Flamenco show-we visited a famous show in the historic Jewish Quarter: Casa De La Guitarra. It was professional and an authentic experience. A great way to connect with the local culture. 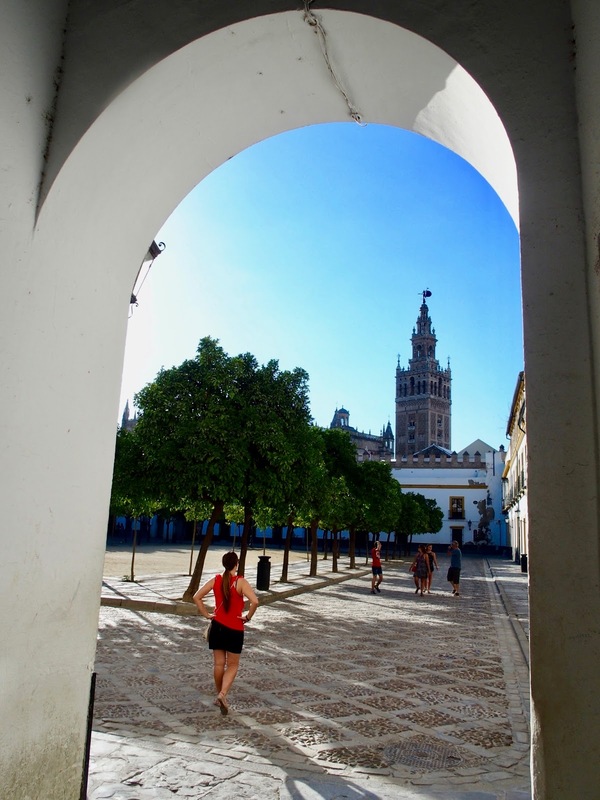 Seville is a great city to walk around and explore. The Jewish Quarter was one of our favorite areas to wander and get lost in. It can get hot in the South of Spain. We visited mid-June which was fine but it felt like it was about to heat up. 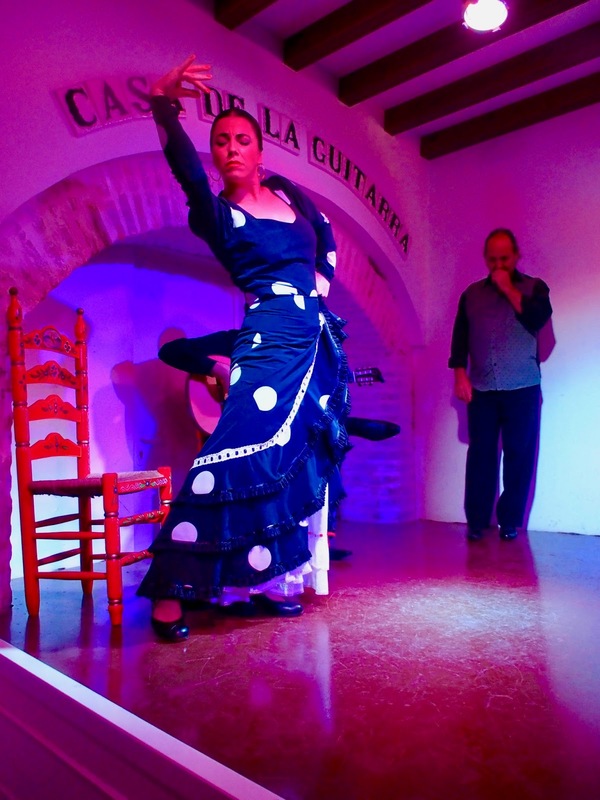 We visited the top Tapa recommendations on trip advisor and they were all amazing. We also tried some at random and hit a few duds. It pays to look! 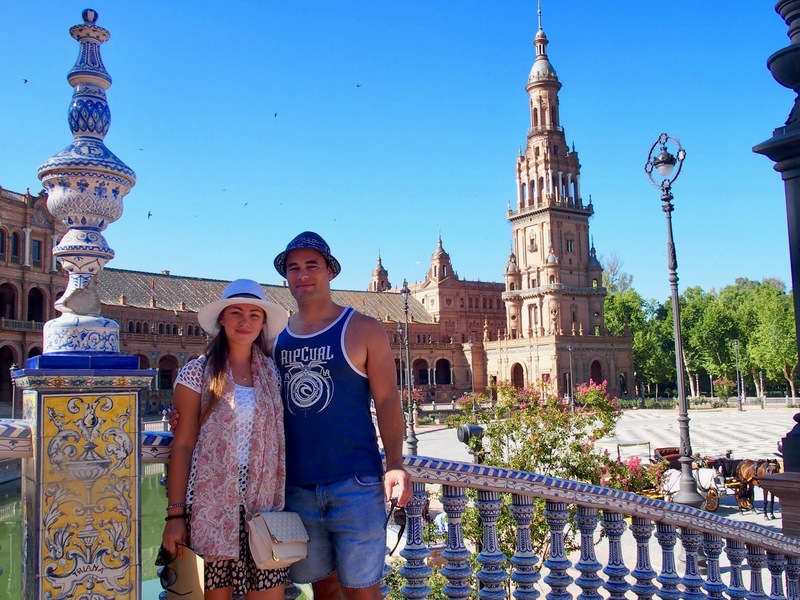 We had 5 nights in Seville, there was quite a bit to see so this felt like a good amount of time for us. The train connections from Madrid and to other areas are excellent. We took a horse and carriage ride from the Cathedral down to Plaza De Espana. Yes, extremely touristy but we enjoyed it and you go through a nice park. It was refreshing to relax away from the city for a bit. 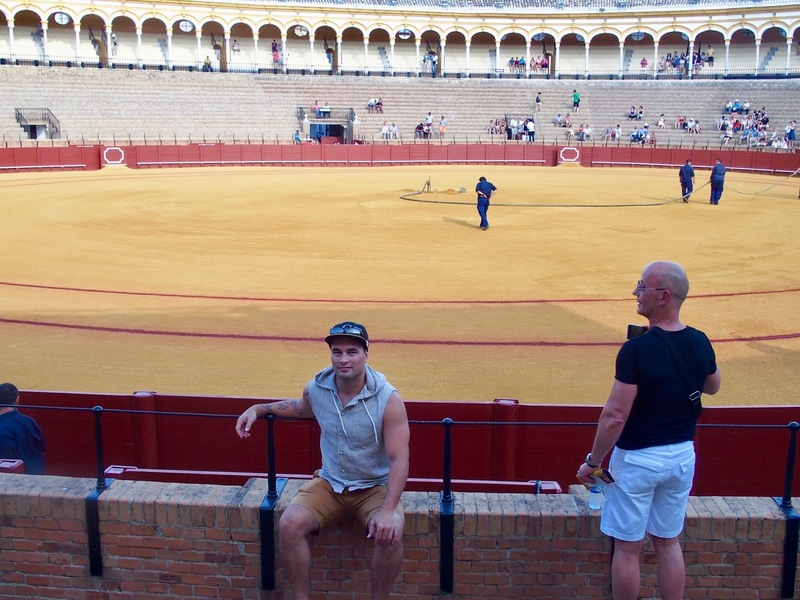 We went to a bullfighting show. We naively had absolutely no idea that the bulls are killed for sport. We were shocked and both agreed that we would not want to go again! 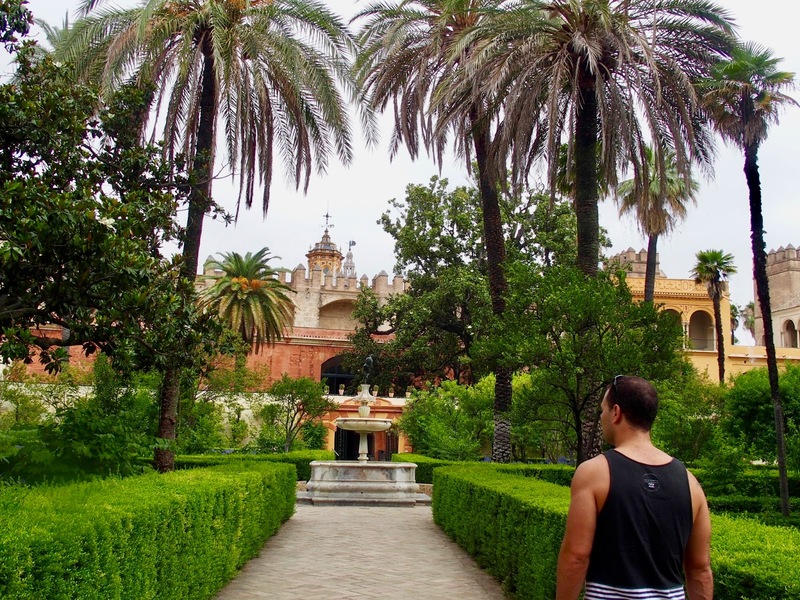 We visited Seville as part of a trip from Madrid (which has a lot of international flight connections) to Cordoba, Seville, the White Villages, Ronda, and Granada. We then took a flight to Barcelona. 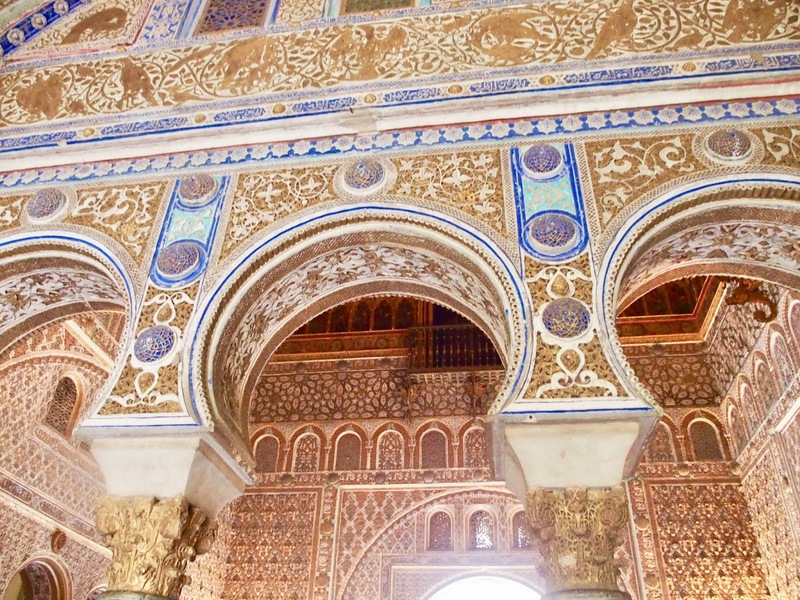 As an itinerary traveling between was very convenient (we hired a car from Seville to Granada). 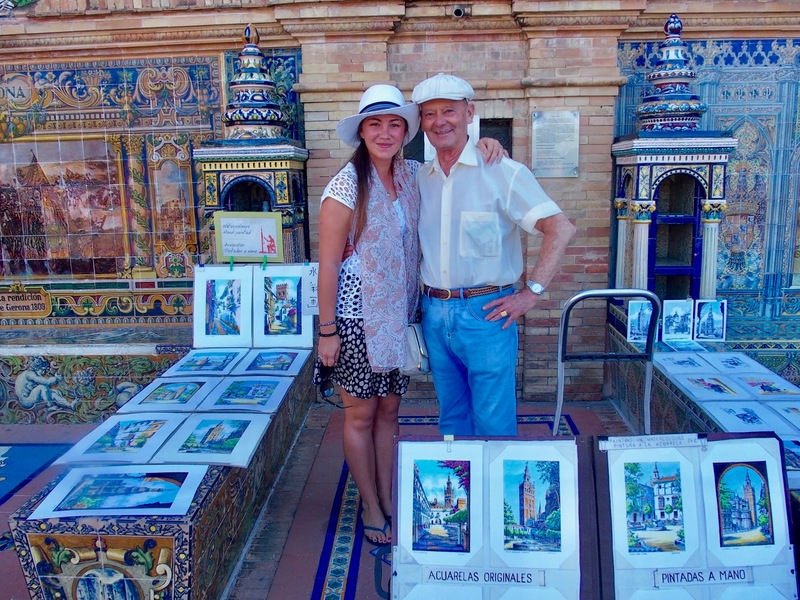 Lilah wasn't born when we visited Seville. We were pregnant but didn't know it yet! There wouldn't be a lot we would need to change for this trip with her. We would definitely consider the heat as there were not a lot of indoor attractions which we would need to plan for with her. We think 5 nights would still be good. The city is stroller friendly and we would be able to purchase anything we needed for her. 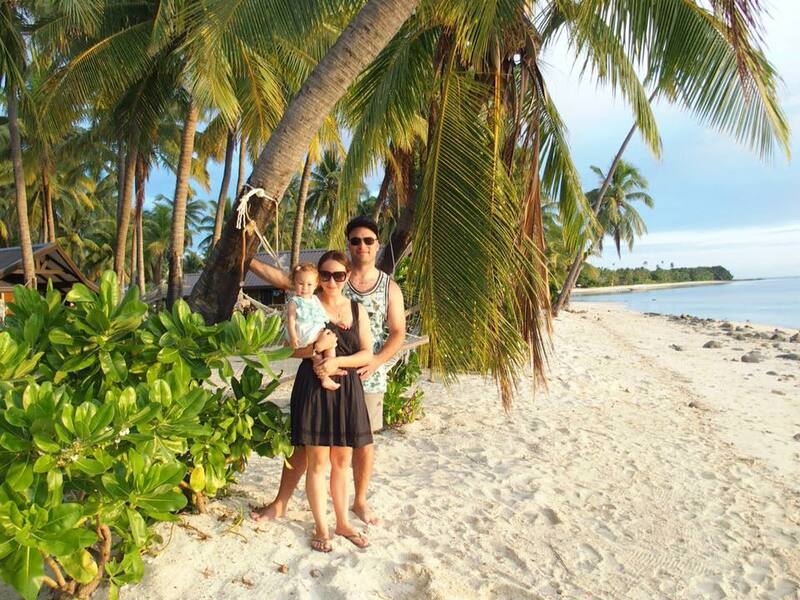 We stayed in a lot of apartments with lofts to sleep in through Europe which we would need to think about with Lilah. Looks amazing! 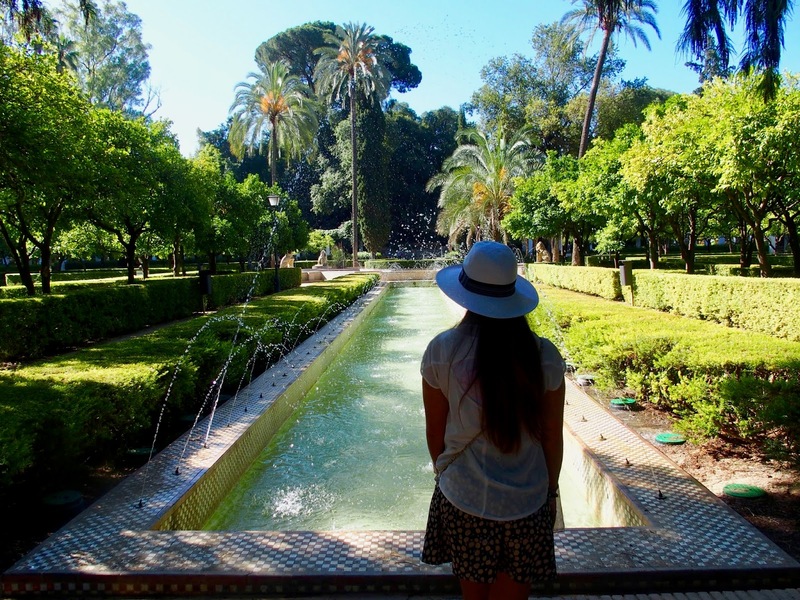 Your Spain blogs are making me want to visit! Thanks for sharing.